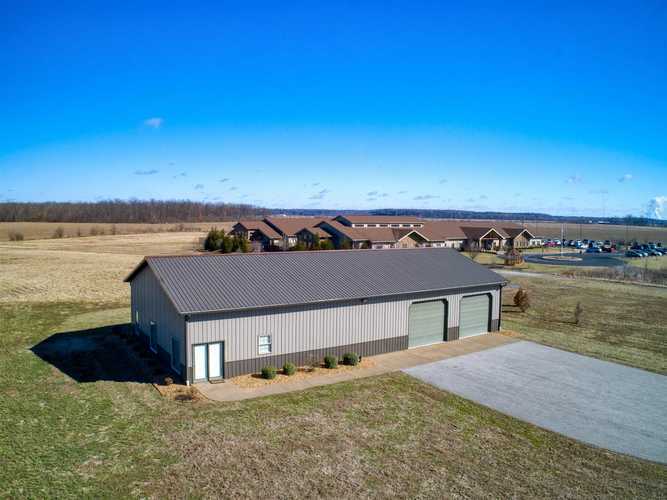 Built in 2010, this pole barn offers over 2,400 sq foot. Inside you will find a finished living area with 2 rooms and a full bath. Open kitchen area with bar would make an amazing office space. Sale includes the lot next door. Both lots are Zoned commercial. Directions:East on Vann Rd, Left on Wethers Road, Left onto Roslin Road.